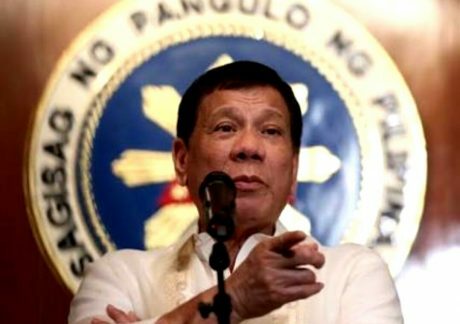 President Duterte has been accused of using unnecessary violence, killings, and other atrocities to fight the war against drugs, criminality, and corruption. Scores of news articles and blogs in social media hype drug-related killings associated with Duterte’s alleged wanton desire to use violence and murder to fight crime. Accusations hurled by the opposition reached the global stage as many foreign media reports pick-up the same exaggerated baseless number of deaths by drug-related killings, being reported to media by overly zealous human rights groups. This brings me to the question, is a Catholic or Christian supportive of President Duterte committing a sin? A more pointed question is, can a Catholic or Christian involve themselves in violence, killings, and war? Is this against the teachings of Jesus Christ? How do the faithful form their consciences in this issue? Asking the right questions is important when it comes to violence, killings, and war. Too often we ask under what circumstances when is it morally just and right for me to use violence and deadly force to resolve a conflict. One of the first rules of ethics is, “every moral principle must be universal”, that can be applied to everyone. So why not rephrase the question to when is it morally right and just for another person, people or nation to use violence and deadly force? Against me, my nation and my people to resolve a conflict.3 This depends on how your conscience is formed, and there is no way to judge whether a person is disobeying his or her own conscience. We can never know whether the act or omission is done with full knowledge and consent of a person committing a sin. Having said this, does President Duterte’s war on drugs go against the teachings of the Church and other Christian denominations? This moral dilemma is non-conclusive and remains a debatable subject matter. It depends what side of the continuum your mind is set on, from the “Pacifist” on one side and the “Militarist” on the other. This is one side of the continuum. Many biblical scholars will attest that early Christians did not involve themselves in violence, killings, and wars. For the first 300 years, Christians were predominantly pacifists. He affirms the opposite that doing well in tackling immediate evils with deliberate force does more good than setting up position statements based on some humanistic view that good things will automatically happen. 8 I think the point of Lewis is you have to do something about a problem; they won’t go away just like that. That’s wishful thinking. It is my view that modern day pacifists claim to be more righteous than other believers or proponents of the just war theory. Their stance of non-violence or non-resistance brings into play the overly stubborn fanatical belief that all forms of violence, war, and killings are absolutely evil. 1. A major reason why pacifism was pronounced among early Christians is because of their convictions. They believed that they were being Christ-like in pursuing nonviolence, pointing the example of Christ in this regard. 2. To a large extent, military involvement was not an option for them. Most of the early Christians were converts from Judaism, and were forbidden from serving in the Roman imperial army. 3. Survival: early Christians were mostly a persecuted minority sect in those early centuries. They were focused on struggling to stay alive. 4. Idolatry and pagan practices: The idolatrous practices were emperor worship. Soldiers had to swear an oath of allegiance to the emperor, an obligation that demanded blind loyalty to the emperor as the highest divine authority. 5. Geographical factors: the expansions of Christianity were mainly in the urban areas far away from frontiers of war. 6. No early church writer approved of military involvement; few appear to have condemned it either. 7. The early church looked for Christ’s imminent return. Over time this expectation diminished, as the realization that the second coming of Christ may not be taking place as soon as was expected. This prevented the early Christians from entering “worldly” professions. Concluding thoughts in consideration of the predicament of the early Christians, some of these points are stronger than others, but to understand them holistically provides an intellectual framework to better understand why most early Christians were pacifists. After all, there were equally good political and social reasons. On the other side of the continuum is the “Militarist” side. The just war tradition or the theory of just war defense is in the middle between militarism and pacifism. In my opinion, slightly bent towards the militarist side. This view runs contrary to the assertions of non-resistance and non-violence from the pacifist theory. Dr. Charles concludes that, “Alas, justice with force is a myth, which is not to suggest that justice always requires force. As all of us here know, if we resist paying our taxes we will be forcibly imprisoned.” He completed his conclusion by saying, “Just war is in the middle between militarism and pacifism. Just war is a marriage of justice and charity.” These statements completely rules out the absolute right wing “Militarism” as a just war. “Public authorities, in this case, have the right and duty to impose on citizens the obligations necessary for national defense. 1. What part of thou shalt not kill don’t you understand? The word kill means murder. The same God who said thou shall not murder also commanded capital punishment. 2. The New Testament is radically new and the supreme model is Jesus on the Cross is the new model is martyrdom? Yes, this is quite true for individuals. We don’t fight fire with fire. When we have choice of fighting or giving up our life, giving up our life is the higher way, this is quite true. But Jesus did not give a political system. 3. Peace is holy, a fruit of the Holy Spirit. Peace is the effect of Christ’s revolution? This is true. But Jesus said I do not give peace as the world gives. He also said: I bring not peace, but a sword. We should take Jesus’ words seriously. But Jesus spoke in paradoxes. 4. The real war is spiritual? This is true, absolutely true. Our enemies are our sin and spirits that inspire them… But our spiritual enemies often use flesh and blood, so this entails disarming them. 5. Jesus stopped the most just violence in history: Peter defending Jesus? Jesus approved of John as a good prophet in the old system. Jesus approved of centurion*. Paul (Romans 13:4) and Peter (1 Peter 2:14) defend the state using the sword. So are you going to separate Christ from His disciples? 6. God is love, therefore love most motivate every action, of every minute of his life. How then can you kill people out of love? Your motive must not be to kill, but to defend. You defend the innocent out of love… as a last resort. Jesus did start a revolution. Whether that translates into political pacifism is open to question. 7. War is hell. There is no such thing as a just war. James: What is origin of war? Greed. The origin of war is only evil. Even the Koran says Allah hates the aggressor. War is stupid? That’s true. There is no such thing as a just war. There is such a thing as just warring. A war against war. The use of violence as a last resort in defense, against a war of aggression. The end of a just war is not conquest, but peace. 8. All is fair in love and war…supposedly? That’s obviously nonsense. Pascal: “Two soldiers meet. Why are you killing me since I am disarmed? Because you live on the wrong side of the river. Since you are from the other side of the river I must kill you.” Human justice is radically unjust and we do not live in utopia. Sometimes we need amputations. 9. War always creates more evil than it corrects? That is questionable. Would it have been better if the Greeks had not warred against Xerxes? Romans against Hannibal? Us [Americans] against Hitler? Would that have created a better world? Dr. Kreeft points out that a just war is a practical necessity, he reiterates C.S. Lewis lecture saying, “Only liberal societies tolerate pacifists”. How then can you kill people out of love? Your motive must not be to kill but to defend. But when you defend the innocent against the aggressor, your motive is not changed. Your motive remains love. Violence is a last resort. The Just War Doctrine, first enunciated by St. Augustine of Hippo (354-430 AD), addresses two questions. First in Jus Ad Bellum, in what circumstances is going to war right, moral, and just? Under what circumstances is it morally possible for Christians to participate? Second in Jus in Bello, what conduct is right during wartime? Once war has begun, what is allowable and what is not? 1. Just Cause — a real and certain injustice must exist. Some aggressor must be endangering innocent lives and other basic human rights. The just war theory rules out preemptive strikes in so-called preventative war. The real goal must be the protection of human rights, and the restoration of justice and peace. 2. Right intention — the true intention is peace and must be the desired outcome. The just defense theory rules out common reasons why nations go to war: gaining and maintaining control over another nation’s territory or resources, revenge, humiliation, genocide, intimidation, and protecting investments. 4. Last Resort — No war is just unless it is the last resort. Non-violent means must be tried and proven ineffective. This goes after the following have failed: negotiation, mediation, legal action, blockade, non-cooperation, and civil disobedience. If all fails, only the minimum violence required to restore justice is permissible. 5. Reasonable Chance of Success — There must be good and sound reasons why violence, killing, and war will achieve the desired goal. 7. Non-combatant Community — this criterion demands that the non-combatants must never be targeted or attacked. This also forbids destruction of the enemy’s infrastructure: water & sanitation system, power plants, hospitals and medicine factories, and crops and food reserves among others. When is it then morally justifiable to use violence, killing, and war against those unjust aggressors? Of course Catholics and Christians in the pacifists side say never. While Catholics and Christians who adhere to the just war tradition say only when all seven criteria are met. According to the teachings of the just defense tradition, war is at best a regrettable but necessary evil. Most of us are somewhere in between the two extremes, the pacifist on one side and absolute militarism on the other. At this point, it may easy to conclude that President Duterte’s war on drug is unjust. But I find it much easier to defend his war on drugs based on the principles being advocated by the pacifist view vis-à-vis the just war tradition. All seven conditions of a just war can be met and defended: just cause, right intention, legitimate authority, last resort, reasonable chance of success, proportionality, and non-combatant community. Going back to my original question earlier, does Duterte’s war on drugs really go against the teachings of the Church and other Christian denominations? No it does not, and neither does the pacifist’s non-resistant stance. When both choices are morally justified, then this becomes the choice of the present civil authorities. It is their right and their decision to choose what kind of action to take to solve worldly and temporal problems. This is the jurisdiction of the legitimate civil authorities. The pronouncements of Collin Donovan was recently supported by Peter Kreeft, who also contends that, “Church doctrine does not pronounce in a final and authoritative way on all moral questions, leaving many up to prudential human judgment.” 16 It has been my assertion for quite some time that the Church should stick to matters of faith and morals. This includes condemning what they find to be unjust killings, all unjust killings. It’s like there’s a just war against drugs, but some of the soldiers capture their enemies and instead of treating them as they do in a just war, they seem to be “executing” them. Instead of rehabilitation, it seems the police are shooting them unjustly in a war that’s supposed to be just. It is my view that the war on drugs per se is supposed to be a just war. But the unjust killings by some scalawags in police and military personalities make the war on drugs appear unjust. Arresting suspects, following due process, and rule of law must still prevail. It is my conclusion, that it is morally just for a president to use violence, killings, and war to achieve a higher purpose of peace that outweighs the possible problems they may encounter in the process. President Duterte and his people are the legitimate authorities whose belief that this war is the last resort in curtailing the proliferation of the drug trade, establishing peace and order in society in the long run. There are also glaring reasons to justify its success as shown by the figures of the Philippine National Police (PNP) — number of arrests, those who surrendered, the unrelenting pursuit of drug personalities, and cases filed against the perpetrators. The proportionality of the losses of lives against those future losses of lives to be inflicted by unjust aggressors is justified. The immunity of non-combatant can be argued as a reason that cannot be met to justify a just war, knowing it is impossible to have zero non-combatant casualties during police and military encounters with the unjust aggressors such as drug lords, drug pushers, narco-politicians, terrorists and other criminals. The pacifist Liberal Party (LP) brings up the dangers of Duterte’s war on drugs using alleged use of excessive force, violence, and extrajudicial killings. They decry the declaration of martial law as a violation of human rights. Ridiculous as it may seem, they want to return to a pacifist stance that failed and, worse, became the cause of the staggering rise in the proliferation of illegal drugs. Why insist on returning to the precursor of the problem? Perhaps those against the just war tradition, and critics of Duterte’s war on drugs, have much to lose in the eventual decline in the drug trade. Personally, of all the criteria for a just war, the most difficult really is no. 5: “reasonable chance of success”. Some countries like Singapore and Malaysia have succeeded, by making the punishment very harsh, but effective. I think this is what Duterte is doing: sowing fear in possible users and actual pushers. How to deal with the collateral damage from other reasons (like that son of the OFW who was killed by the police after his neighbor, with whom he had an altercation, invented an accusation that the poor kid was a drug user; I think those who do that should be prosecuted using the full extent of the law, so they don’t do it again). Wait…that’s being too politically correct. I think those who involved in unjust killings should be shot just like in a just war. The unjust aggressor must be stopped from doing any further harm to society. Finally, of course, the fact that many policemen, politicians, businessmen, and officials in authority are involved complicates the proper implementation and defense of the just war against drugs. A problem the President Duterte keeps battling every day. 5. Were the Early Christians Pacifists?. (2007, March 23). Culture Watch. I don’t believe in the SWS False Asia Survey. Data in such surveys, can be manipulated, to project the goodness, failure or evilness of anyone, where the survey is applied. Adolf Hitler of Nazi Germany had his Holocaust. Those NAZI Death Camps, with incinerators in them; that burned the Holocaust victims. The war against the NAZIs was just. We have now the enemy, in the form of illegal drugs, terrorism, etc.. That is destroying this generation of Filipinos. Will we just watch, as this generation is destroyed ? The Roman Catholic Church had also justified its war, to promote and defend the Roman Catholic faith. They have the Crusades in the Middle East; where they killed many people, to capture , Jerusalem. The Islamic Religion has its Jihads. I hate wars, but if war, brings us peace, and defend our love ones. It is necessary to go to war. Whatever your religious belief ! Before Venus, censorious; before Mars, timid.